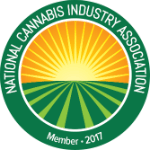 Created to provide helpful information about the Canada Cannabis Industry. Licensed Medical Marijuana Producer (also commonly referred to as Growers or Cultivators) – LMMP’s are responsible for growing, processing, testing, and transporting marijuana and marijuana products. What kind of tracking system do I need to operate a Licensed Medical Marijuana Producer Facility? Most regulatory bodies require an extensive seed-to-sale cannabis tracking system to monitor cultivation efforts and inventory. Our cultivation seed-to-sale-tracking solution provides comprehensive data tracking with an emphasis on compliance. Customized to meet the unique regulatory frameworks in each jurisdiction, BioTrackTHC also features an all-in-one business tool to help you operate every aspect of the cultivation business by itself, or as part of the vertically-integrated cannabis business. How can I obtain a Canada Medical Marijuana Recommendation? Patients will need to visit a Health Care Practitioner for a consultation Health Care Practitioners includes physicians and nurse practitioners where permitted. After receiving a consultation, a completed medical document is sent to the Licensed Producer for registration. The applicant must submit a detailed description of their proposed record keeping methods. This must include a description of the process that will be used for recording transactions relating to licensed activities, including maintaining appropriate records of transactions and dealings with both suppliers and clients. For the latest cannabis-related legislative updates on Canada, check out our Cannabis Bill Tracker! CANADA SUCCESS STARTS WITH CONTACTING US!